With Glittering Eyes: The Birth Control Quest. Well, this is going to be a bit of a personal post. I have been on a quest the last few months to discover what type of birth control method I would like to use. Josh and I aren't quite ready to have children. (Although watching him play with children the last three weeks convinced me that YES that man is going to be such a great father we need to start reproducing IMMEDIATELY.) Still, I know that this just isn't the right time to get pregnant. "Is this safe for my body?" "Exactly how does this work?" I just blindly hopped on the train that says this is the only way to prevent having a baby until I'm ready. Now, I think it's one thing if you are completely educated on a birth control method and still decide to use it. Good for you. It's another thing to take a pill for 2 1/2 years and not know what it is or how it works. I'm still on the journey of researching what route we are going to go with for preventing pregnancy right now. My current dream is to save up and buy this. The Lady-Comp. Every morning it takes your temperature, tells you if you're fertile or infertile, and keeps a record so when you decide you DO want to try for a baby, it will help you with that, too. Oh and it's more effective than the Pill. and condoms. However, it's $450 so we'll have to wait on that. I'm only on chapter 6 but you guys, this book is amazing. I am learning so much about my cycle, about my body, and about the miracle that takes place in every woman's body. I feel so much more equipped to stay healthy and be aware of what is happening in my monthly cycle. I found it on amazon and it had 5 star review after over 1300 reviews. Kyrie, my sister in law, started reading it the other day and could NOT put it down. It's that good. 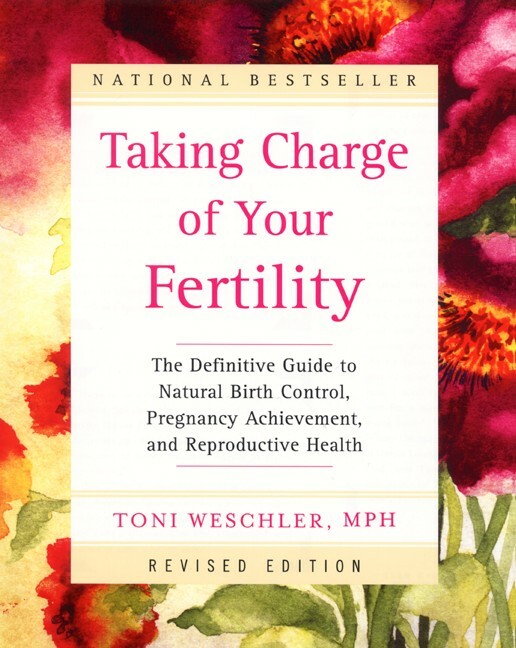 She's going to go get her own copy tonight and has been texting it to friends of hers who have struggled with infertility or uncertainty of other birth control methods. It teaches the Fertility Awareness Method. It charts temperatures every morning (I'm going to go get myself a thermometer tonight! ), cervical fluid, and cervical position. I am feeling so excited and empowered to master my own body and to do it in a natural way. I'm no where near finished with the book, and I'm not ready to put it fully into practice yet, but I am so excited about this. Anyway, I just had to share it on here because I'm feeling very excited and encouraged by it. I also know that a lot of my friends are on similar journeys of discovering what works for them, so I wanted to be sure to share it with them as well. Only good can come from being on this kind of self discovery journey! I've had this book on my Amazon wish list for months now; thanks for bring it back to my attention! :) I also have a basal temperature thermometer on my list, too! Like you, I, too, have struggled with being on "the pill", especially since researching its possible effects shortly after we got married and reading pastors' opinions on the issue. At this point, I still believe the method by which a couple practices birth control (at least in most senses, i.e. not abortion, etc.) falls under Christian liberty and is between them and the Holy Spirit, though they should be fully informed, as you said. I still don't know exactly what that will mean for us (my transplant team practically forces me to take the pill, though we will be talking with them within the year about possibly trying to have children). Your post, though, definitely reminded me to keep praying through the issue individually and corporately with John, to keep "working out our salvation" and being open to His leading. I love this post! Thank you for being so transparent and I am absolutely buying this book. I definitely think the healthier way is better than taking a tiny pill full of hormones. I went off the pill about a year before we thought we'd start trying for a baby because of some disturbing information I read about it, and we started using FAM - I read that book as well, and it is so good! I'm so glad I found it, because the pill definitely messed me up, and I love that you don't get all the hormones with FAM. Good for you for researching other options!